Somewhere, in a not-too-different world, you'll find this slightly absurd house, standing somewhere in the Swedish countryside. Why does it look the way it does? How did it come to be that way? It's great, like something that has grown naturally over time, but I'm not very sure how it would seem in real life. 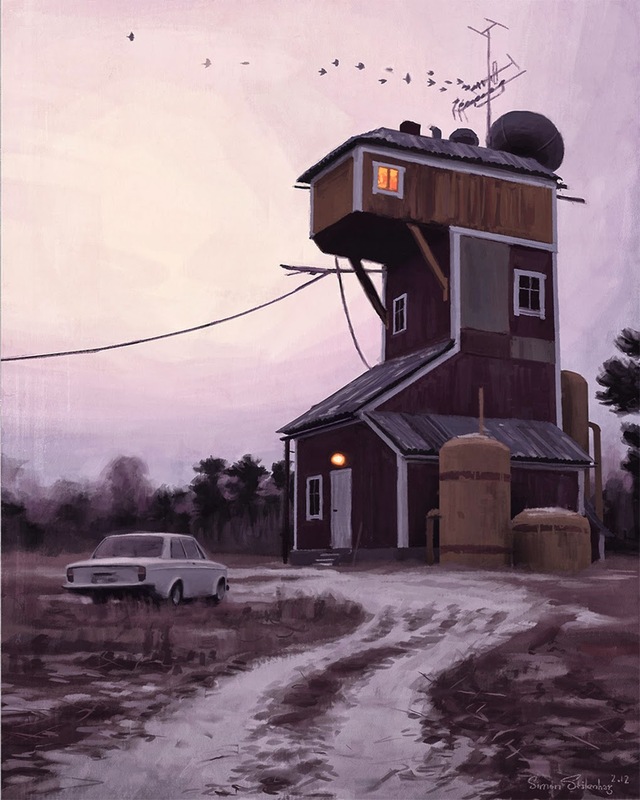 Anyway, be sure to visit the brilliant webpage of artist Simon Stålenhag for more of this strange and captivating vision. Kan det være ei moelvenbrakke de har heist opp på toppen?